As an intern for the Redbirds, apart from Opening Day, there is isn’t anything more highly-anticipated than the Staff vs. Intern Baseball Game. And it finally came. Thursday. 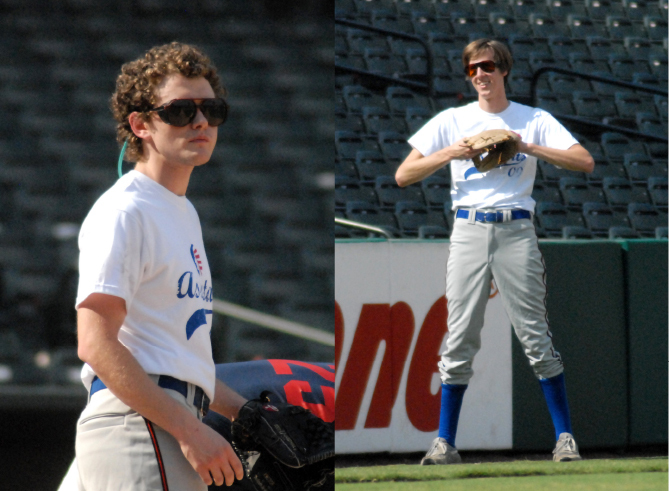 Though the intern team has only beaten the full-timers once in the game’s nine-year history, the ’09 Interns had high hopes. Calm and collected Manager Wassel placed the interns’ five former baseball players (be-it college, high school or intramural) at the front of the 12-man line-up. 2nd Row (L to R): Jeff Wilen, Courtney Munson, Heather Mills, Joe Rejc, Leigh Eisenberg, Stewart Comer. 1st Row: Ben White, Cory Shedd, Ben Spradling, Nick Cataldi, Phil Simon. Standing: Manager Alex Wassel. 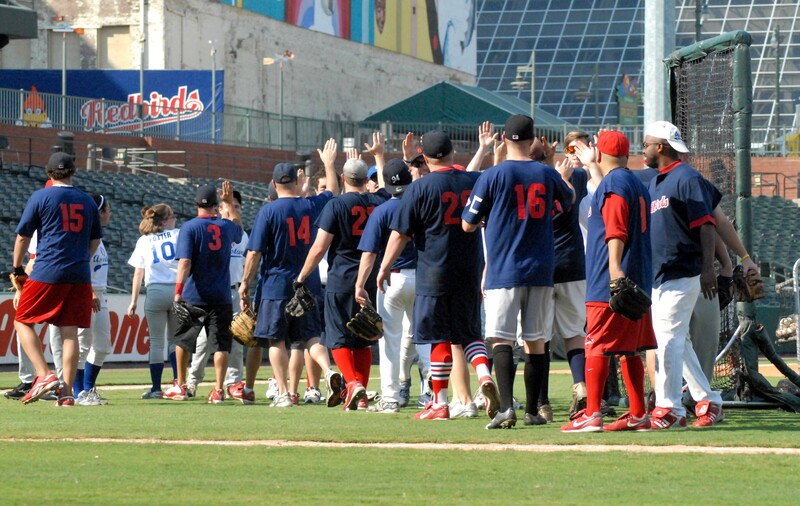 ‘Play Ball’ was shouted at around 3:30 P.M. by umpire Ed Collins and the 10th Annual Staff / Intern Game was underway. The full-timers scored one run in the first inning when Kyle Parkinson (yes, the bloggers’ boss, of course), who reached base on single to center field, was driven in by a sacrifice fly by Harrison Lampley. Nick Cataldi hit the game’s only triple in the top of the fourth for the interns and scored on center fielder Phil Simon‘s sac fly. The score eliminated any chance of there being an embarrassing shutout loss (honestly, we probably wouldn’t have blogged about that – or I’d let Ben write it, because he is very good at putting our many short-comings into words), and leveled the score 1-1. This was the first time the interns really believed they might be able to pull off the long-shot victory. However, any dreams of conquering the full-timers were quickly thwarted in the bottom of the fourth, when they put up four more runs to make it 5-1. Six consecutive hits from the top of the order paved the way for the team’s four-run inning. 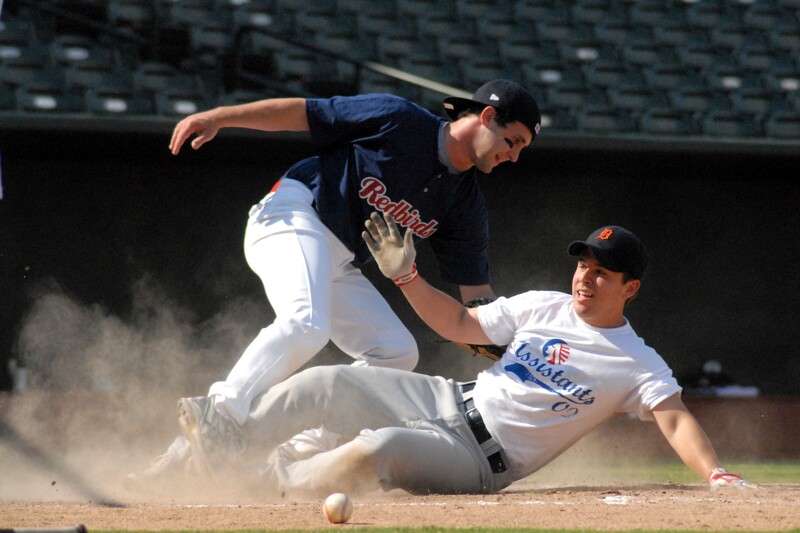 The full-timers added one more to their lead in the fifth when intern second baseman Cory Shedd, in an attempt to turn the double-play, committed a throwing error to first that allowed Corey Gillum to score. 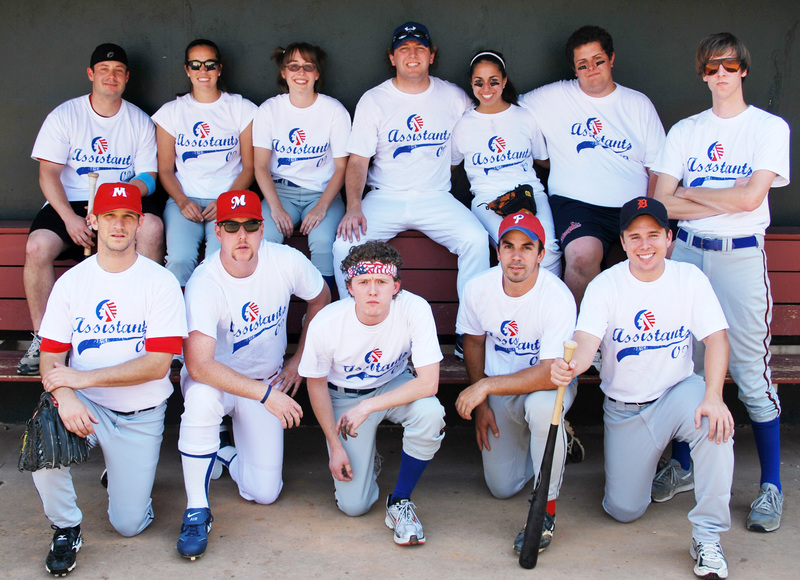 The interns’ final push came in the sixth when the team crafted three runs out of five hits. The inning ended with a play at the plate, after Joe Rejc belted a double over left fielder Nelson Padro’s head. Cataldi safely scored from second on the play, but Phil Simon had to beat the throw to home-plate delivered by cut-off man Valentin. Some say Simon was safe and scored; others, like umpire Collins, disagree. The photo is ambiguous, so you can see just how close of a call had to be made in real-time. Also, disregard the ball on the ground, that is from a different pitch. The inning ended, along with any of the interns’ realistic chances of winning, with hitters six, seven and eight coming up in the seventh. The interns, or ‘Assistants’ as their shirts and business cards read, hadn’t given up just yet. Everyone has a classic underdog story that they retreat to in times like these for motivation. And I went straight to mine, recalling Buddy, the golden retriever from Air Bud: Seventh-Inning Fetch; who, even without opposable thumbs, comes back to help the Angels win the World Series all-the-while saving his missing puppies from the antagonist Rocky Racoon. Man, that dog could rake. Possibly agitated that his home-plate slide was ruled an out, intern outfielder Simon made the play of the game in the next inning; a running and diving catch to record the second out. “I dedicate my catch to Shane Robinson,” said Simon of his center field mentor. 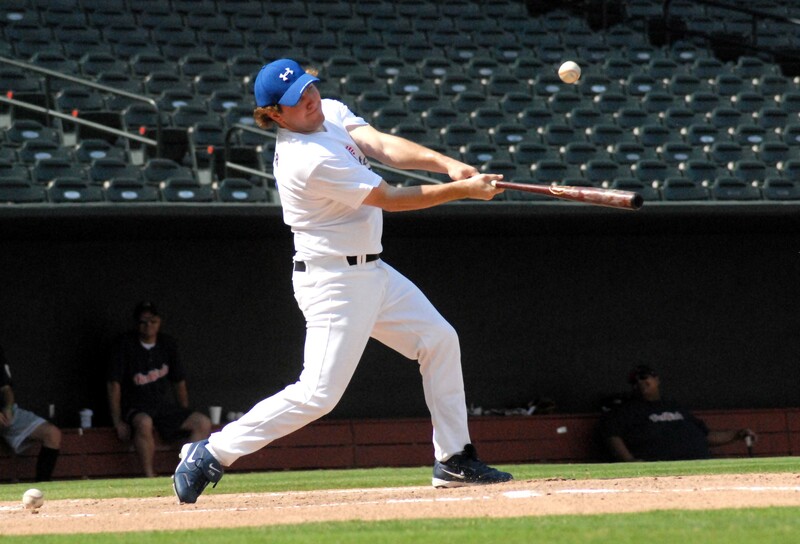 Unfortunately the intern team went 1-2-3 at the plate in the seventh, making it officially a 6-4 loss. KP dominated almost every stat category, going 3-for-3 with two doubles, an RBI and two runs. Simon had a game-high two RBI. Though they didn’t lead their team in anything except maybe cleanest uniforms, the Communications Interns did their part and went 2-for-5, each with a single. “They definitely were the surprise of the game,” said proud boss and player of the day Kyle Parkinson. On the mound, Ben White led all pitchers with two strikeouts to teammate Leigh Eisenberg. The Redbirds clubbies combined to go 5-for-12 with one RBI, third baseman Celso Callado leading the way with a 1.000 batting average. None of the clubbies were available to interview, except Karasek, but trust me, that would have only been a waste of time. All in all, everyone had fun; but deep down we all know what would have happened if we had have played nine innings. Youth would have prevailed. Alas. Good luck intern class of 2010. A very special thank you to our brave photographer Allison Rhoades for taking these photos. 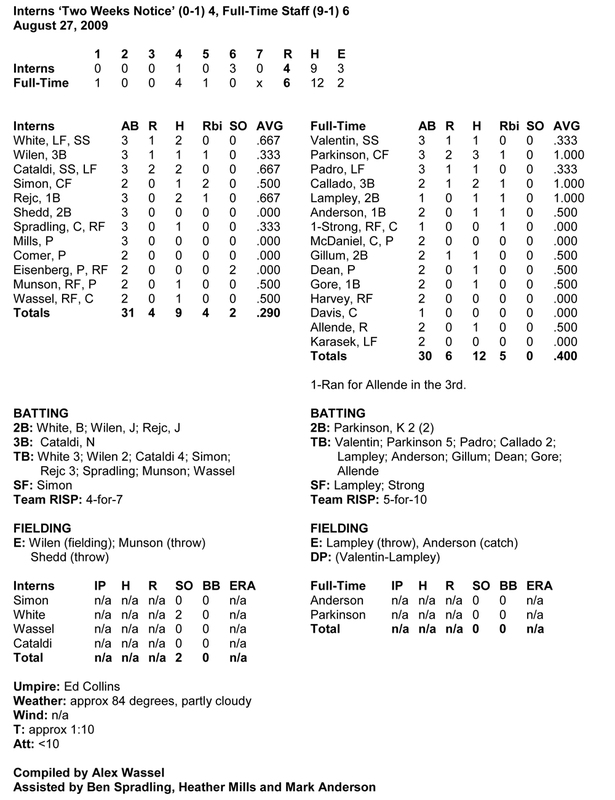 Check out the box score below. Click to make bigger. Print to show your friends. Selected in the 2nd round of the 1997 free-agent draft class. 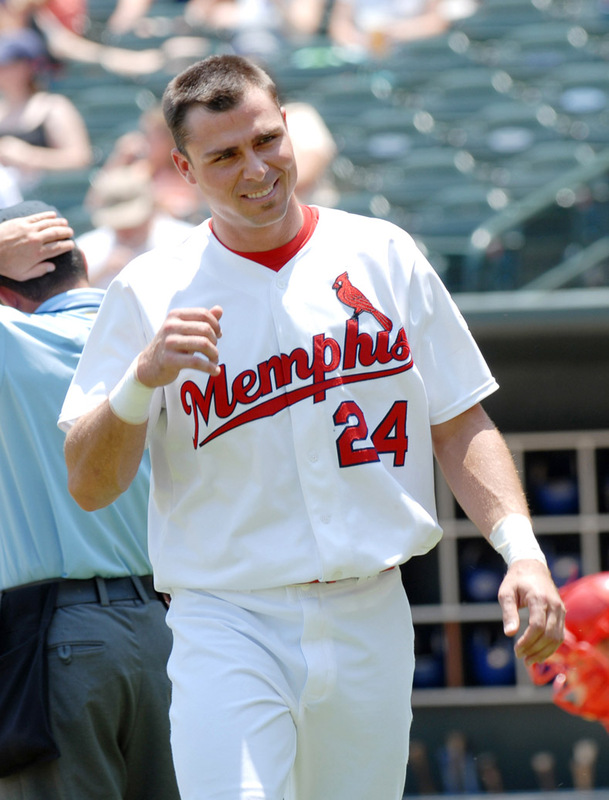 As an outfielder, Rick Ankiel appeared in 102 games for Memphis and hit .267 (104×389) with 32 homers and 89 RBI. 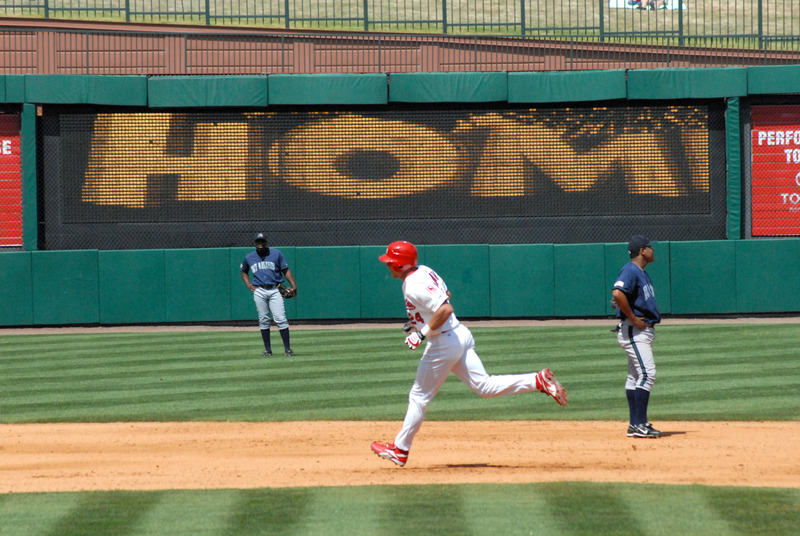 In 2007, Ankiel was named to the PCL All-Star game and finished the season with an organization-leading 43 home runs. But Ankiel’s history with the team wasn’t always as a left-handed slugger, but instead the Florida-native spent many nights on the hill as a starting pitcher. Ankiel was originally drafted in 1997 with the intent of becoming one of St. Louis’ long-time starters. 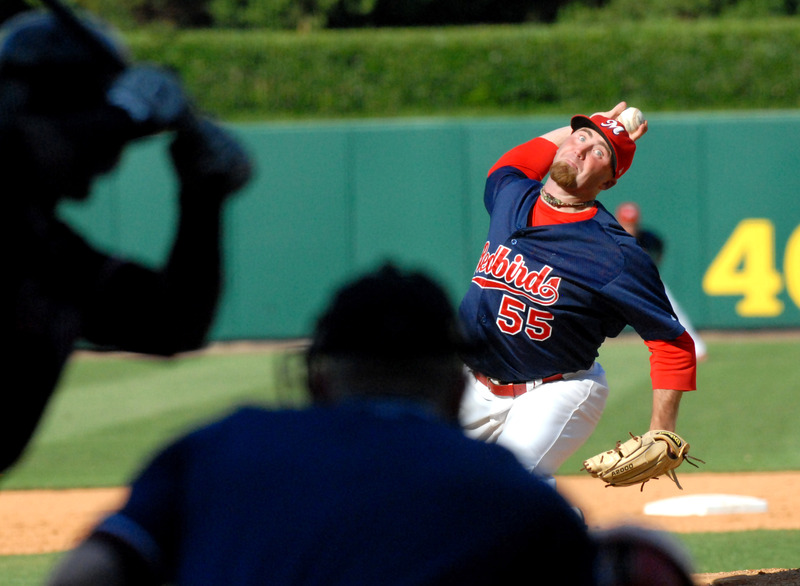 In 1999, the southpaw earned Cardinals Minor League Pitcher of the Year honors and was ranked as St. Louis’ and MLB’s No. 1 prospect entering the 2000 season. Year 2000 marked the then 20-year-old’s rookie season, where he went 11-7 with a 3.50 ERA in 30 starts and finished second in National League Rookie of the Year balloting. The following season, however, began Ankiel’s descent as a pitcher. He went 1-2 with a 7.13 ERA in six starts for the Cards before being optioned to Memphis. Ankiel didn’t touch a baseball in 2002 due to injuries and his need for Tommy John surgery resulted in the lefty pitching in only 31 more games by the end of 2004. Ankiel began the 2005 season by announcing his retirement as a Major League pitcher on March 9 and turned his eyes to the outfield. He made his debut in Memphis as an outfielder in 2007 as a part of the Redbirds Opening Day roster and got the call to St. Louis on August 9. 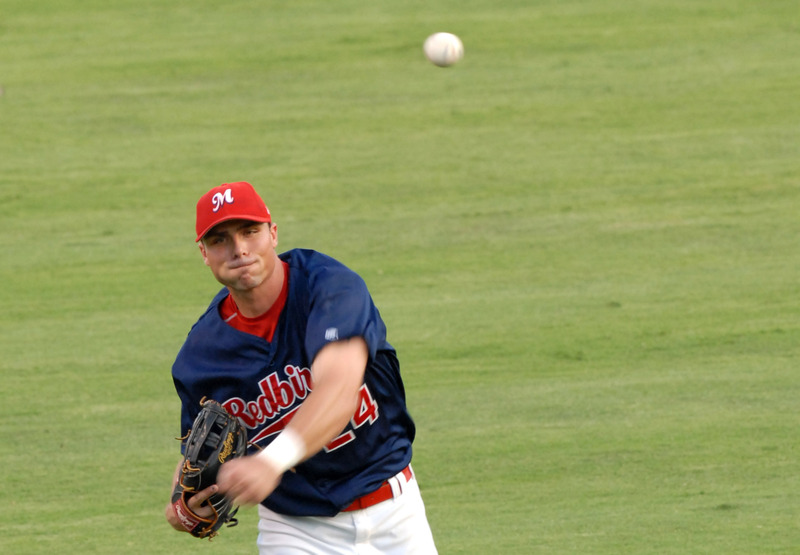 Since then, Ankiel is a regular in the St. Louis outfield and is hitting .237 (63×266) in 2009, as his team continues their push for a post-season berth. 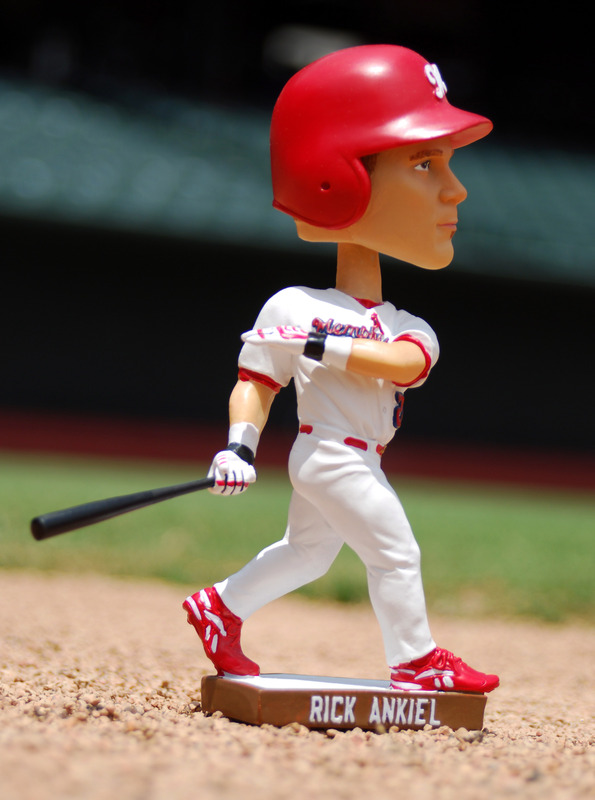 The Rick Ankiel bobblehead is the eighth of the All AutoZone Park Series and will be given to the first 1,500 fans at Tuesday night’s Memphis Redbirds game against the Omaha Royals. 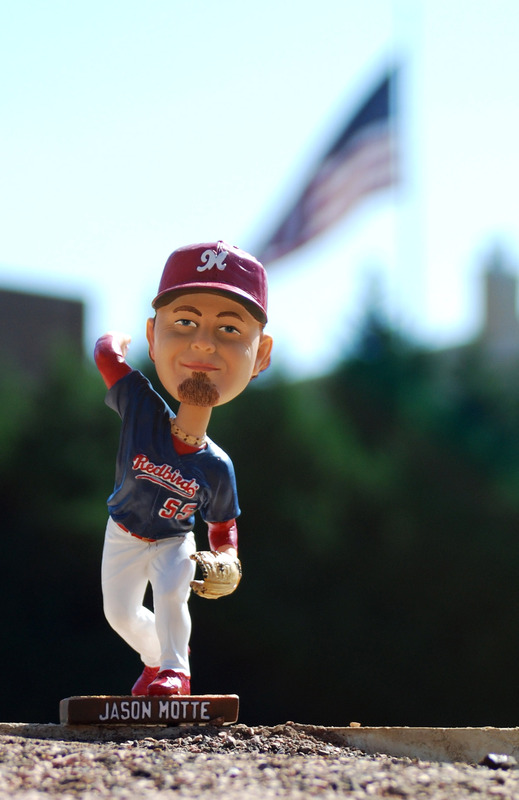 Gates open at 6:00 P.M. for the 7:05 game.